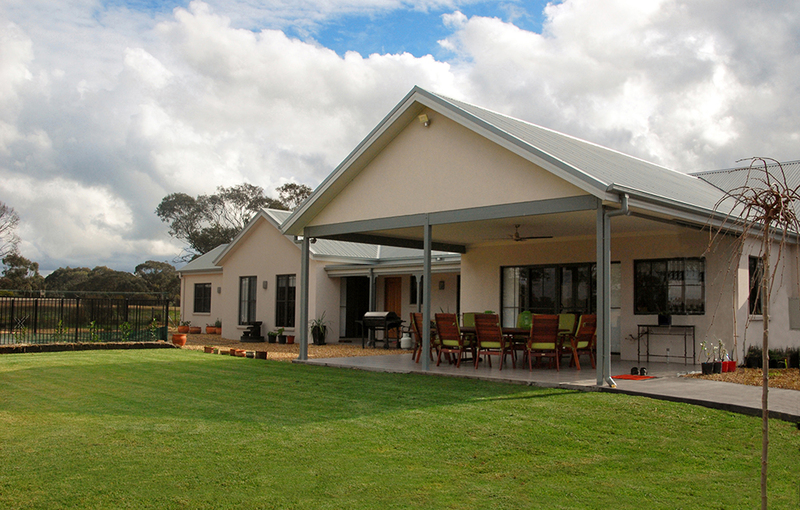 “We had seen the designs advertised in The Land, had visited the display centre, and were very impressed. We loved the style of the Hawkesbury after viewing the display homes, then fell for the Richmond after visiting another one that had been built nearby at Luddenham,” Lynne said. 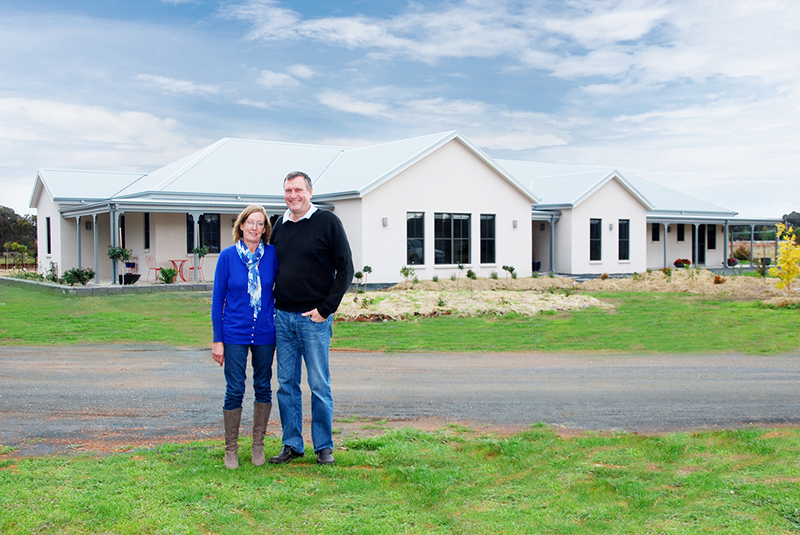 The pair employed contractors to construct their home rather than building it themselves, and still saved money over the cost of conventional building. The finished house is clad in Hebel aerated concrete panels with sand-coloured rendering and a grey Colorbond roof. The windows have small square panes to match the french doors. With four bedrooms and a study, the home offers plenty of space for the couple’s five adult children between them, and nine grandchildren. Greg said the big selling point of the Richmond for him was the overall room space and the large Al Fresco area at the back, from where the couple can look out at their view, which includes a dam and eventually a park-like outlook. He built a half-wall on one side of the Al Fresco for shelter. Greg’s latest project is to add an outdoor kitchen, so the couple can cook and eat outside. “It’s a really great, workable house. Our family and visitors are impressed. I would certainly recommend Paal to others,” Lynne said.